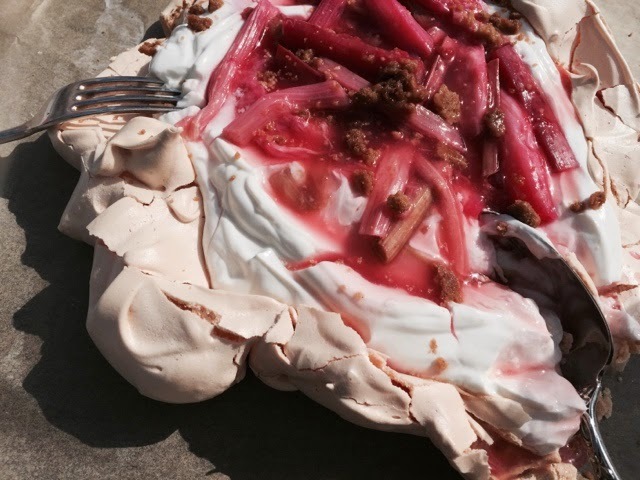 Rhubarb season is always one of my favourites. The harsh cold of winter has finally gone, the sun is shining more and all the trees are starting to come alive with blossom and new shoots. Everywhere looks much better bathed in sunlight and of course we now have long evenings to laze around in parks and days are starting to get that wonderful endless feeling. It is this time that Rhubarb starts to grow in its masses, you get the forced rhubarb first, characterised by its really vibrant pink colouring, and then you get the rest. Rhubarb is a pretty versitle food, I have made tarts and sorbet in the past. It also goes brilliantly as a purée in processco if you are feeling fancy one evening too. 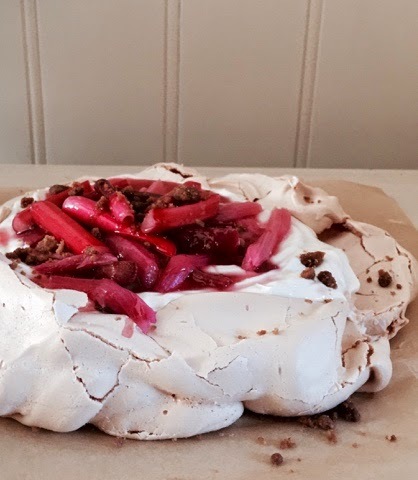 Today I decided to spruce up an old favourite, a crunchy pavlova topped with the pinkest, freshest, tangiest rhubarb. 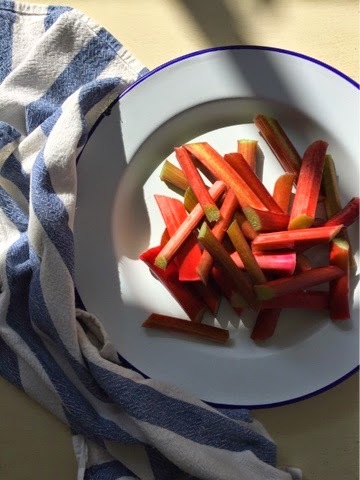 Start by chopping your rhubarb and then gently cooking it in a pan with a little sugar until soft. Watch carefully as if cooked for too long will become a mush. You want strips about 2 inches long. Next whip up your egg whites, sugar, vinegar, tartare and boling water. Dollop and spread onto a baking sheet. The messier the better, don't worry too much about neatness at this stage. Make a hollow in the middle slightly for your filling and tangy fruit. Next make up your crumble topping by rubbing together your butter, ginger and flour and then placing in a baking tin. This is will cook for about 10 minutes and will all spread out. Once golden leave to cool before smashing up into crumbs. 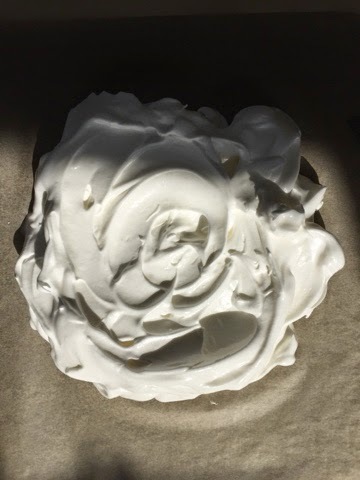 Sprinkle a layer on the base of the meringue, before you add your yogurt topping. 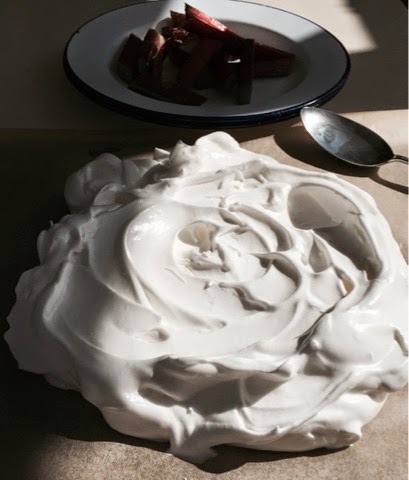 Mix up your yogurt and ginger and place in the shallow dip in the centre of your cooked meringue. Enjoy in the spring sunshine!